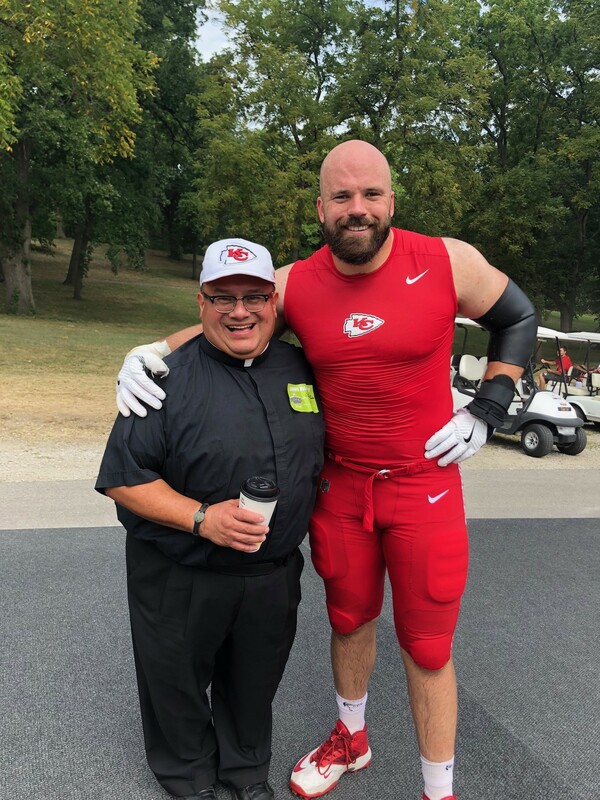 With this week’s start of the 2018 National Football League (NFL) season, Catholic Athletes for Christ (CAC) begins its tenth year of working with the NFL. 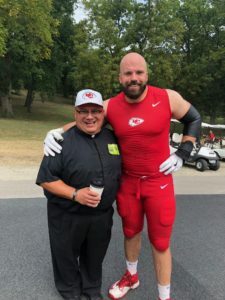 CAC works with its roster of Catholic priest-chaplains in all 32 NFL cities to ensure that Catholic players, coaches, trainers, and front office executives have access to the sacraments throughout the season. In addition, CAC each spring provides Catholic Mass, confessions, and a group dinner for coaches, scouts, and team officials at the NFL Combine in Indianapolis, Ind. Please pray for CAC’s NFL Catholic priest-chaplains for their sacramental work during the upcoming season! 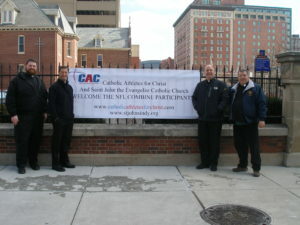 CAC NFL Catholic priest-chaplains at the NFL Combine in Indianapolis, Ind. NFL Catholic Fun Fact: The Green Bay Packers held their summer training camp at St. Norbert College in De Pere, Wis., for 61 years, the longest such relationship between a pro football team and a college in the NFL. Russ Bogda (then-president of the Packers) and Lisle Blackbourn (then-head coach) first approached St. Norbert College in the spring of 1957. At the time, the Packers were headquartering at UW-Stevens Point. In the summer of 1958, Coach Scooter McLean and his staff brought the Packers to the St. Norbert campus’ Frank J. Sensenbrenner Residence Hall, to various classrooms for training sessions, and to the dining facilities on the river bank. Over the 58 years, the string of successive summers at St. Norbert College has NEVER been broken. In 1959, newly appointed head Coach Vincent Lombardi confirmed the summer camp location and formed a friendship with father Dennis Burke, O. Praem. Succeeding coaches and Packer Presidents over the years have found the facilities to their liking.